Gutter Helmet of East Tennessee & North Georgia is a family owned and operated gutter and gutter protection sales and service company serving Chattanooga, TN, North Georgia and spanning 31 countries. 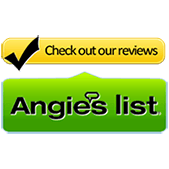 Installing Gutter Helmet and seamless gutters on thousands of homes over the years has built us a reputation for being the best at what we do and we are very proud to have a Licensed Contractor on staff and have earned an A+ rating with the BBB and the Angie’s list Service Award. We are involved in our local Chamber of Commerce and are a member of the Home Builders Association and the National Rain Gutter Association. After installing these products on many homes, we can attest to the quality and effectiveness of this patented gutter protection system. Why Do You Need Gutter Protection? Many homeowners aren’t aware of the problems that are caused when the rain is not directed away from their house. When clogs in the gutter cause water to spill over the sides, the ground around your foundation of your home will erode causing moisture problems in a basement or even flooding. Furthermore, rainwater spilling over the backside of the guttering can cause the fascia board to rot, and mold and mildew to develop inside your home on the walls. Cleaning your gutters can be a dreary, messy, and dangerous chore. Gutter Helmet’s patented, nose-forward, textured design using surface tension keeps leaves and other debris from entering your gutter system and makes it virtually impossible for animals or any other obstructions to enter and only allowing rainwater in your gutters. Gutter Helmet has been proven to withstand twice the hardest rainfall ever recorded, of 22 inches in one hour! Gutter Helmet has been America’s most trusted choice in gutter protection for more than 35 years. With no more debris, you will be free from gutter maintenance! Combining our seamless gutters with Gutter Helmet gutter covers gives you the ultimate in rainwater protection for your home. Seamless gutters have no joints where water can leak and are stronger and more effective than sectional gutters. Hours of operation are 8:00 to 5:00 Monday through Friday.